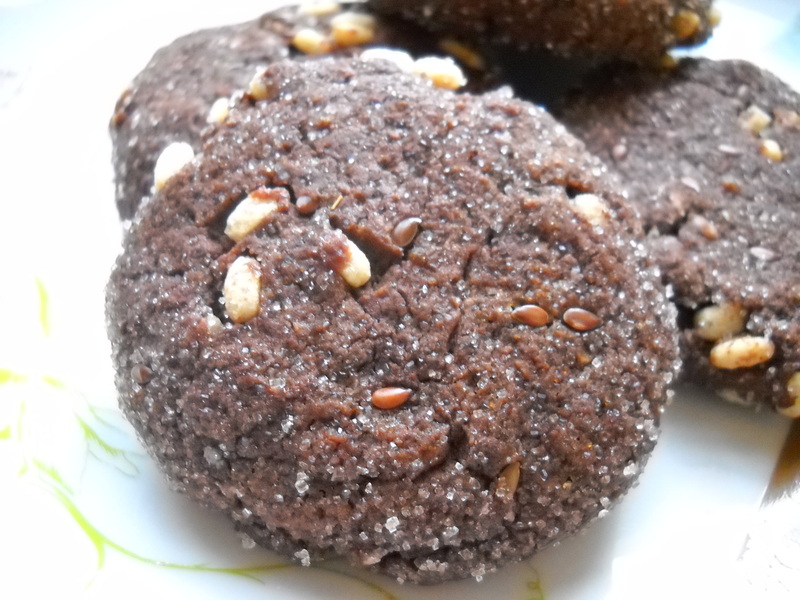 Today I bring you Thyme-Flaxseed-Brown Rice-Crispie-Dark Chocolate Cookies adapted from Eat the Love. These were so different tasting; a definite party in your mouth. You’ve gotta be like me though and have a love for the sweet and savory brought together. If you do, you’ll love these. Combine the ¼ tsp apple cider with the non-dairy milk and set aside for a few minutes to curdle. After the milk has curdled, add vanilla extract and thyme. Set aside for a few minutes to let the flavors come together. Meanwhile, carefully melt the chocolate in the microwave or in a double boiler. 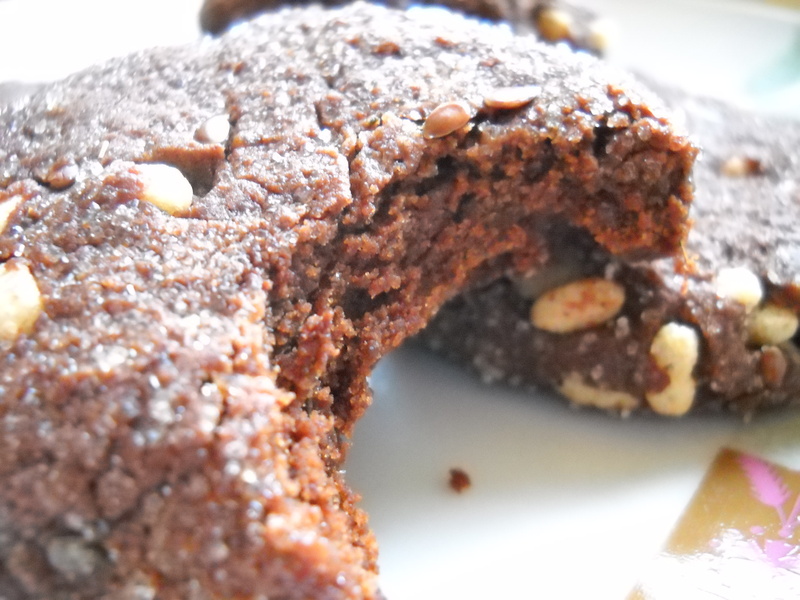 In a medium sized mixing bowl, combine the flour, cocoa, baking powder, egg replacer and salt. Stir to combine. In the bowl of your stand mixer, cream together the Earthy B and the brown sugar until it is fluffy. Add half of the dry ingredients and mix until incorporated. Add buttermilk mixture and continue to mix. Add the remainder of the dry ingredients, mix, then add the flax seeds and rice crispies. Grab tbsp size bits of dough and roll into a ball. Roll in cane sugar and flatten just a bit on the baking sheet. Bake 13-15 minutes. ← Blood Orange Yogurt Tart. I really love to eat chocolates specially dark chocolate because they taste sweet and special. ,. ;..